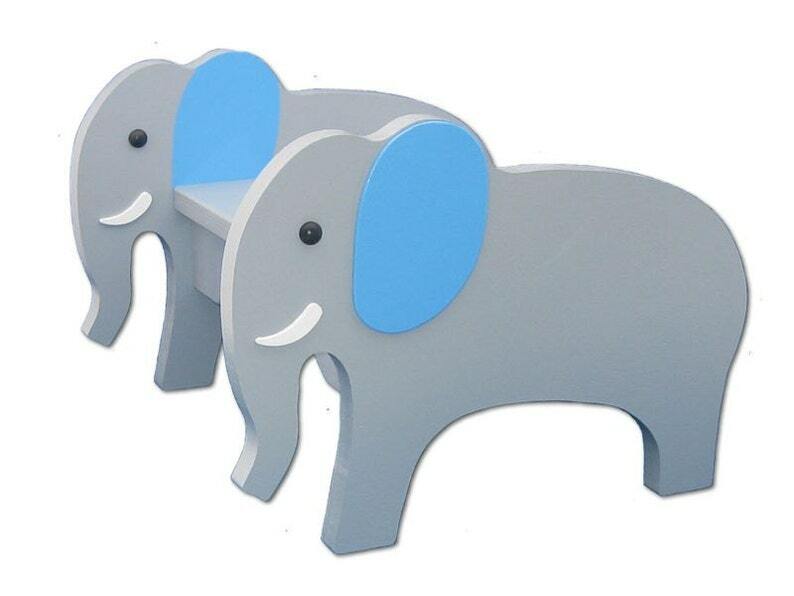 Here is a docile little elephant that will work perfectly for a jungle/safari or circus themed room. Smooth gray body is accented with blue ears just for whimsy. Your child will cherish this new friend for years to come. 14 inches Wide, 9 inches High, and 13 inches Deep.